It is no secret that OnePlus is one of the more developer-friendly Android OEMs. Some even praise OxygenOS to be an even better alternative than stock Android, with all of its extra features and performance improvements. Whether you like their software solution or not, it’s obvious that the company is hard at work making sure that you get the latest and greatest Android experience at its finest, without sacrificing on the optimized interface and overall smoothness. 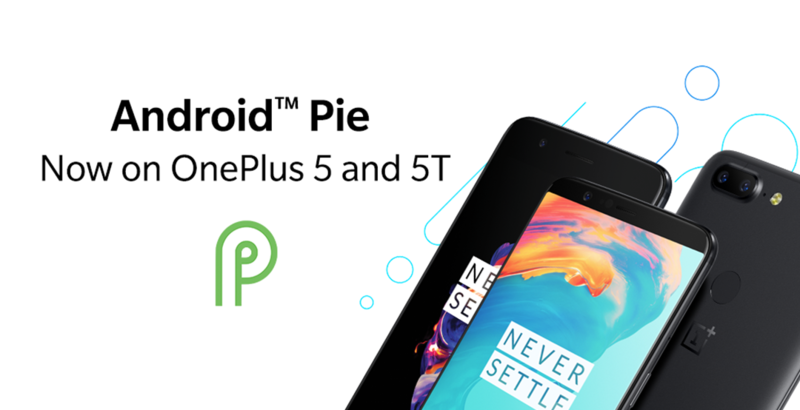 OnePlus has decided to treat their users during holidays to a treat, as the first stable Android Pie update is now available for OnePlus 5 and OnePlus 5T. OnePlus has rolled out a couple of open beta Android Pie updates to the OnePlus 5 and OnePlus 5T, but this is the first officially stable release. The first obvious change in the update is the reimagined user interface. As you already know, Android Pie brought a lot of UI refinements to our favorite platform, so it’s no surprise that OnePlus went along with them and added even more changes to the aesthetic side of the system. The next major change is gesture navigation on OnePlus 5T. The feature is not present on OnePlus 5 since it has physical buttons on the bottom. Apart from the aesthetics, the newest version of OxygenOS on the OnePlus 5 and 5T are now secured with December security patches. The update also includes few additions like Gaming Mode 3.0 and Google Lens integration into the camera application. The full changelog can be seen below. As usual, OnePlus stated that this update is also incremental. It will only roll out to a small number of users at first and will begin a wider rollout in a few days to avoid the risk of sending out an unstable build. The full ZIP download links for both devices can be found below.